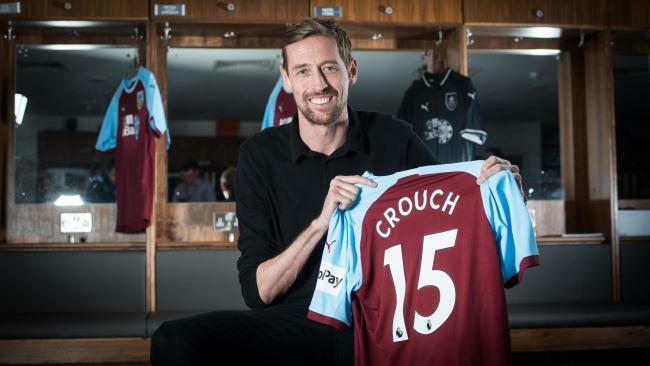 When a 38-year-old Peter Crouch moving to Burnley is your biggest story, you should perhaps begin to realise that ‘Transfer Deadline Day’ doesn’t actually exist to provide 24 hours of rolling entertainment for a television audience. It’s simply the final day of a seasonal window in which football clubs around the world are permitted to sign and register new players – some bloody weird ones, n’all. After failing to impress at Aston Villa, Everton have chosen to farm Bolasie out a little further afield for the remainder of the season. Apparently the transfer was only approved by the Belgian FA with roughly 30 seconds of the window left. Volg straks om 13u30 via onze Facebook Live de persconferentie van coach Fred Rutten en Yannick Bolasie! Suivez dès 13h30 la conférence de presse du coach Fred Rutten et Yannick Bolasie via notre Facebook Live! Udinese spent the majority of deadline day in negotiations with Derby County veteran Tom Huddlestone only for the deal to ultimately collapse. However, the Serie A side did manage to procure themselves a former Premier League midfielder before the end of the day by bringing in ex-Tottenham nutter Sandro from Genoa on a short-term deal. Most Stoke fans were hoping for defensive reinforcements or two this window as they are notably short at the back. Instead, the club loaned their senior left-back to a team fighting relegation from Ligue 1. Le défenseur international hollandais est prêté à l’@AmiensSC par @stokecity jusqu’à la fin de la saison. From Liverpool wonderkid, to Watford also-ran, to League One in the space of three seasons. Suspended by Fulham for brawling with one of their security guards, Kamara has been removed to one of Turkey’s lesser -Spors. Weird old deadline day, that. I hate that prick Aboubakar Kamara for always picking the number 47 – AK47… Just a shame that the only thing combative about him is fighting teammates for penalty’s or getting arrested off the field.